An Italian family are reported to have such a high threshold to feeling pain that they barely notice when they burn thnselevs or break their bones. 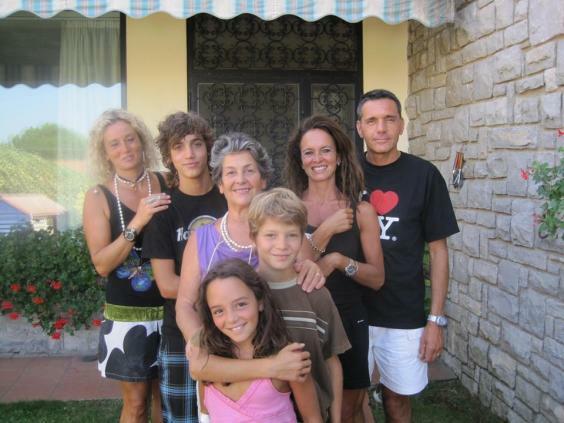 Six members of the Marsili family have the strange medical condition, that is so rare and unique, that doctors have named the condition after them – Marsili Syndrome. Letizia Marsili knew she was different from childhood when she noticed she experienced pain in a way totally different to other children, not wailing and screaming when she got cuts, bruises or burns. Now 52, Leitiza says the condition is a blessing and a curse. While skiing Letizia broke her right shoulder but didn’t even notice. She contined to ski and only discovered the extent of her injury when she visited hospital after feeling a tingling sensation in her fingers. Letizia’s sister Maria Elena often burns the inside of her mouth when drinking drinks that are too hot, her son has fractured his ankle while playing football and not noticed, and her daughter Virginia once left her hand in ice for 20 minutes without feeling a thing. The family’s strange medical condition has now come to light after a study was published in the journal Brain. The researchers, have discovered that the family’s high pain tolerance is due to a genetic mutation in the ZFHX2 gene. The discovery afer many years of investigation is likely to have a huge influence on future pain relief drugs. “By identifying this mutation and clarifying that it contributes to the family’s pain insensitivity, we have opened up a whole new route to drug discovery for pain relief,” said co-author of the study Professor Anna Maria Aloisi of the University of Siena.